A street in Shanghai recently had a makeover – and it went poorly. 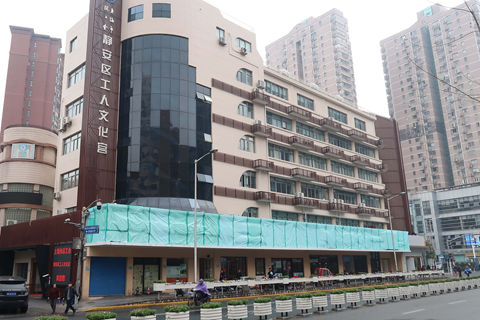 In an attempt to “unify” the appearance of storefronts on Changde Road, all signs along the street were stylized with white Chinese characters on plain black boards: a color scheme that netizens remarked made them look like signs for funeral parlors. After photos of the inauspicious sight went viral, the signs were covered over with green tarp. Over the past few years, several cities in China have launched campaigns to make store signs more uniform, often under the guise of wanting to remove 'messy' designs. Some have subsidized the cost of plainer, cleaner designs for store owners. But neglecting a city’s local culture, and in turn, its diverse aesthetics, will only damage an area’s character, legal expert Xiao Wen writes in a column for Caixin. Because many of the signs were store owners’ private property, not provided by the government, policies mandating the unifying of store signs are “rude, unnecessary, and disturbing,” according to Xiao.